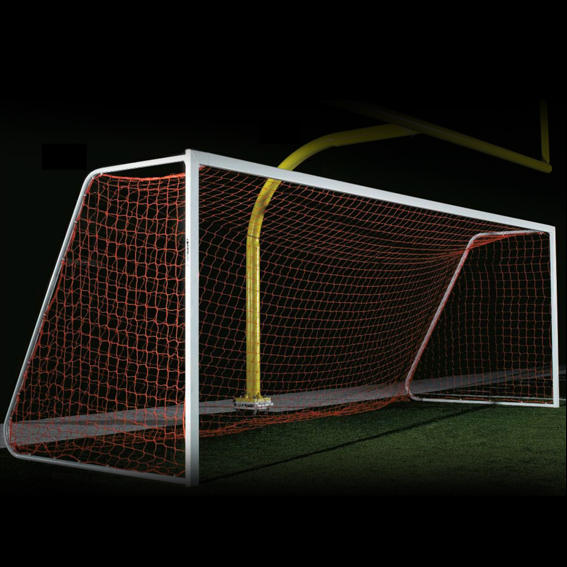 The PORTABLE SOCCER GOAL meets NFHS and NCAA standards. 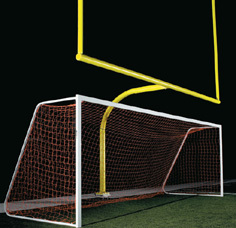 Designed for combo football/soccer field. All aluminum construction. Portable with 4 wheels per goal. Rolls easy on grass or turf. Includes 3mm white polyethylene net, net clips, 4 flip-up tires, 4 semi-permanent ground anchors and 6 saddle anchor bags. Size 8' height x 24' width x 3' depth x 8' base. Powder-coated White.